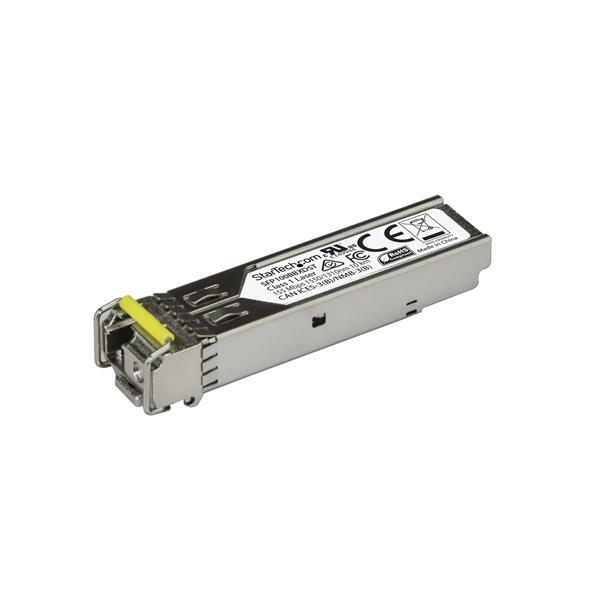 The SFP100BBXDST is an MSA compliant downstream fiber SFP transceiver which pairs with StarTech.com's SFP100BBXUST. They are designed, programmed and tested to work with 100BASE-BX compatible MSA switches and routers. 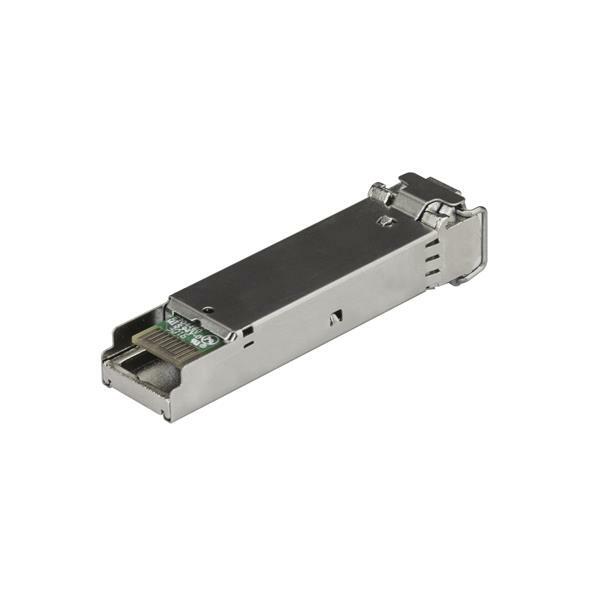 The SFP transceiver module supports a maximum distance of up to 10 km (6.2 mi) and delivers dependable 1 GbE connectivity over fiber cabling. What do I need to know about upstream and downstream SFPs? Upstream and downstream SFPs function the same way as other SFPs, except that they use Wavelength-Division Multiplexing (WDM). WDM allows for the transmitting and receiving signals to co-exist on the same fiber strand. 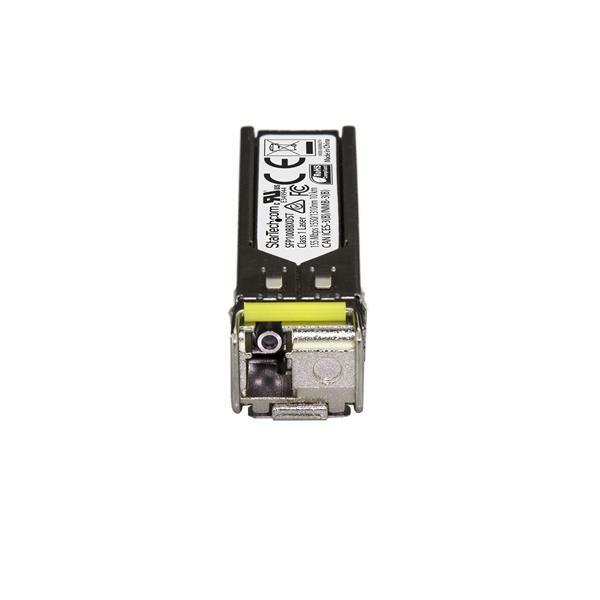 This allows a single fiber cable strand to simultaneously transmit and receive a signal. You must use upstream and downstream SFPs in pairs. You cannot use two upstream or two downstream SFPs together.